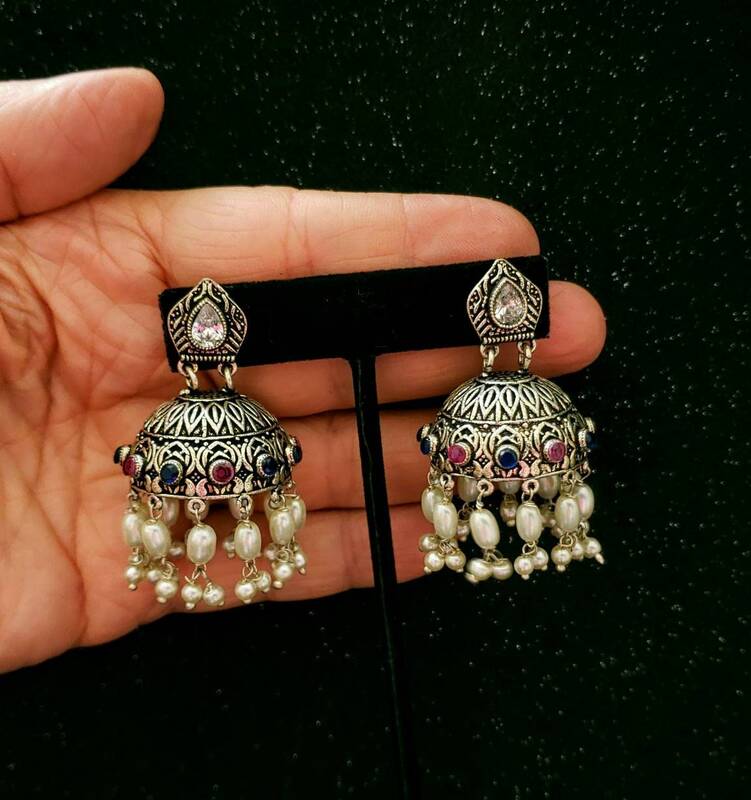 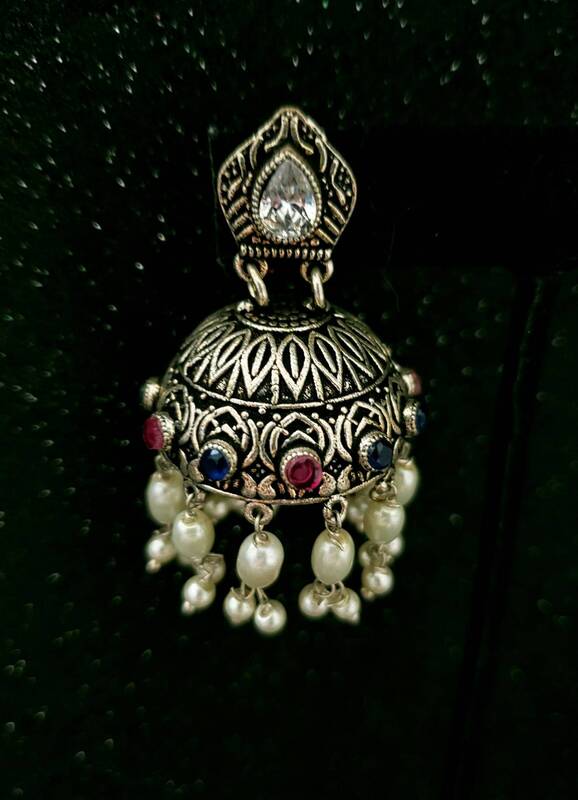 Step out in style wearing these dressy, elegant art deco style Bollywood jhumka earrings in oxidized silver color so as to give the patina of a vintage piece. 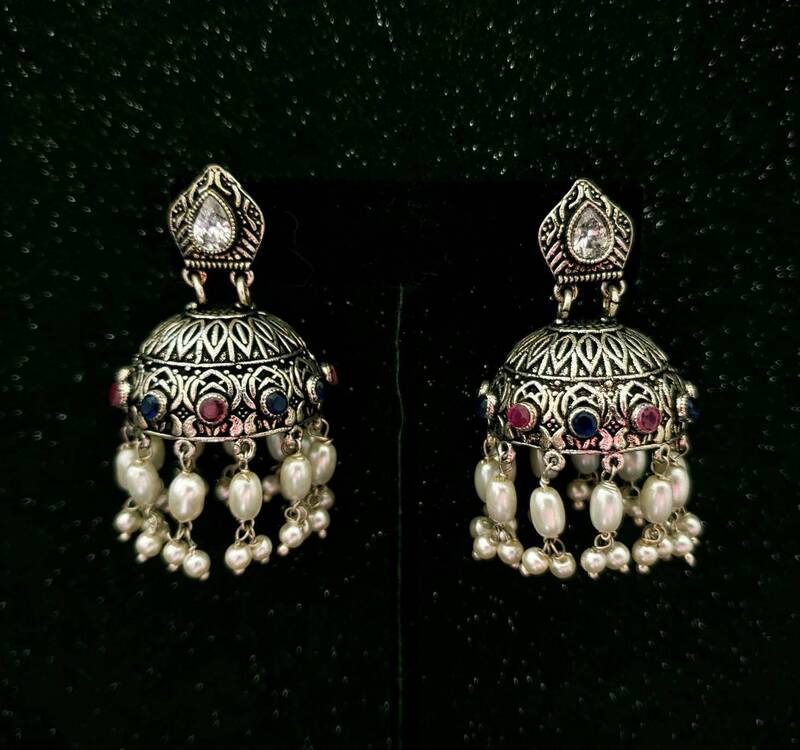 Detailed and precise filigree work. 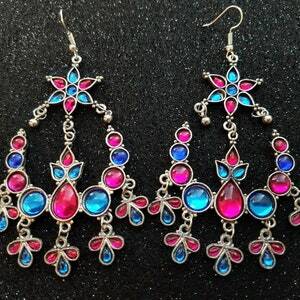 Simulated rubies and blue sapphires. 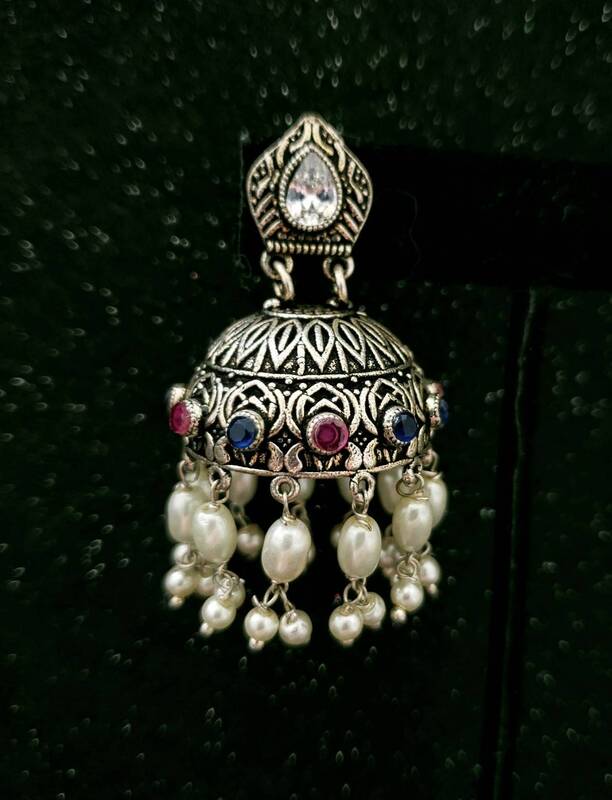 Dangly baroque pearl beads. 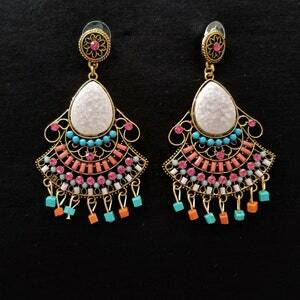 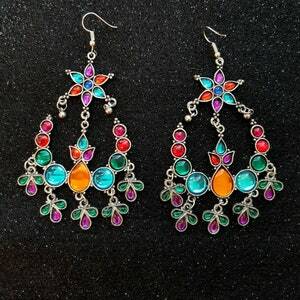 Look and feel amazing in these stunning earrings! 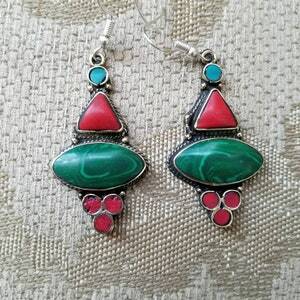 Light and very comfortable to wear.